1. Projectsxtra encourages NO student to submit downloaded project materials from this site to higher institutions for any form of award (s) whatsoever.. They are solely meant for guidance on the processes of writing a research project. 2. To get a plagiarism-free customized research project, you can please place an order or just click here. 3. Client	must be sure to have sought approval of the topic of interest from the authority/supervisor or be sure beyond all reasonable doubt that the material is NEEDED for the course or research being carried out before going ahead to make payment for or purchase the complete material herewith. Projectsxtra thereby without complaisance, will not approve a refund nor replacement for a paid material with another one in any case of rising discrepancy. 4. All featured books, academic journals or study packs are not all properties of Projectsxtra. These materials are freely available on this site and we do not claim ownership of them in any way. 5. Our hired-writing services are NOT duplicates of already existing projects on this site. We write from afresh and provide our clients with original documents according to their project topics. After approval, it becomes their original property and deleted from our systems immediately. 7. All payments should be directed to ONLY the account details stipulated on this site, unless otherwise directed by the administrator. 8. 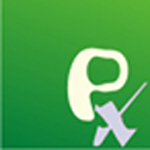 Projectsxtra may not be responsible for corrections made by project supervisors on materials from this site. However, extra charges may apply if so neccessary. 9. Clients should be sure to have read all features of the material to be purchased before going ahead with the transaction, Projectsxtra might not consider refund nor sending another material for an exchange. 10. Clients must ensure that the desired topic is available on this site before going ahead to make payment. Projectsxtra will not consider a refund if payment is made for a topic gotten from another website, but the client is rather adviced to go ahead and pick a topic from this site and then receive the material for the value of amount paid. 'Our' refers to projectsxtra.com, 'All' refers to every material on this website, 'We' refers to projectsxtra INC.